In the shower you can save on water consumption thanks to small devices but above all thanks to the choice of the right product: a "green" shower head able to deliver only half of the water than a non-water saving one, while maintaining a jet of the same efficiency and power, therefore, without affecting the comfort of the shower. 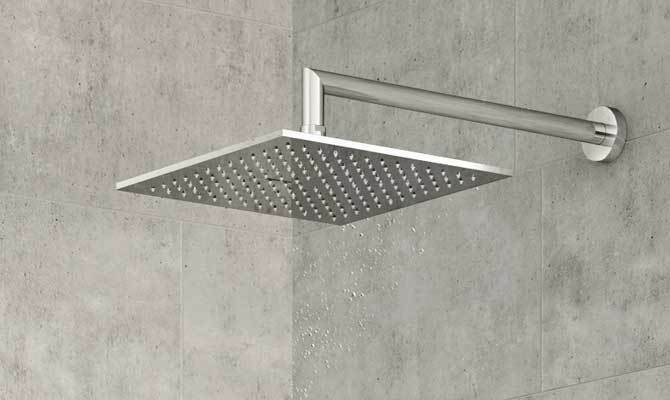 Fir Italia shower heads with rain jets are products that combine design, both aesthetic and comfort needs with eco-sustainability and the need to reduce water consumption and water waste. All shower heads in modern and classic style work with just 6 or 9 liters per minute depending on size, shape and technical characteristics. A wide range of shower heads to choose from according to the needs of the user, to keep an eye on and reduce the consumption of water delivered dispensed in the family, both considering a few minutes usage and, especially, considering a monthly or annual consumption. Like those with rain jet, Fir Italia multifunctional shower heads are also water-saving, and allow to significantly reduce water consumption in the bathroom. Synergy multifunctional shower heads, also available with the inner part in DuPont ™ Corian® and Playone models are equipped with a rain jet, releasing a regenerating tropical rainfall, a cascade jet, a refreshing waterfall and a nebulizer jet, with nebulizer function generating an inebriating cloud of water droplets. These "wellness" shower heads operate with low water flow rates, even starting from 9 liters per minute. 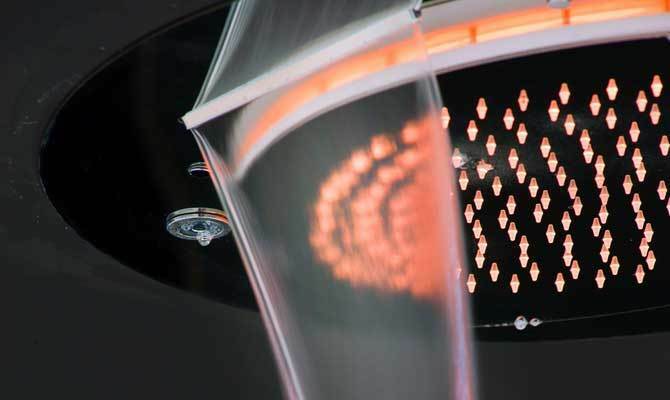 They also feature an 8-colour chromotherapy, the umpteenth advantage that enhances the shower relaxation and pleasure.